Learn the secrets and principles of rejuvenation, renewal, healing, empowerment, and living an integrated life. Join us at this special event, where East meets West, and where we bring together science, medicine, and philosophy, to unlock the secrets and principles of living your best life. In a world full of pressures, demands, and many stresses, we all get worn down. How do we stay energized and inspired? How do we take care of ourselves so that we can renew and rejuvenate after each challenge? What are the natural ways that we can heal ourselves, allow for healing, fortify our immune system, and build our strength? Life is not just about managing time, but also about managing energy. Within each of us resides an infinite source of power: key to unlocking this power is the key to self-empowerment. How do we unleash our potential? How do we thrive? Join us on a great journey to understanding the answers! Maliwan Wanakornkul has been working in the medical field. She was recognized as a medical innovation product entrepreneur with the award of “National Business Woman of the Year in Medical Field Development. In Thailand today, Maliwan is being recognized with an Honorable National Award of “Person of the Year 2018 “ by the Foundation of Science and Technology Council of Thailand. Maliwan has been an active leader in several communities. She was appointed to serve on the Oxford Business Alumni Committee for Thailand from 2018 to 2020 and on the Board of Directors for the Mexican-Thai Chamber of Commerce. She is also the Representative of the Chamber for International Trade Meeting of the Joint Foreign Chamber of Commerce of Thailand, from 2016 to 2020. Maliwan holds a Diploma in Global Business from the University of Oxford Said Business School in the United Kingdom, and graduated with BSc Pharmacy and MA in Applied Linguistics from Mahidol University, and an MBA from Thammasart University, Thailand. She was an American Field Service Scholar to Titusville, Philadelphia, and a Japan Air Line (JAL) Scholar to Japan. She has been a Lecturer at Chulalongkorn University in Thailand. Maliwan has been learning the Daode Xinxi technique which was discovered by Zhao Miao Guo, the Chinese Master, since 2004 in Karnchanaburi (Thailand), an international center for health and development for humanity. Maliwan is a cancer survivor. She discovered Daode Xinxi before her operation for ovarian cysts removal. After the disappearance of her cysts following seven days of practicing Daode Xinxi, has inspired Maliwan to support Master Zhao Miao Guo, in teaching people around the world about the philosophy, method, and practice of self -healing. This involves a simple practice of leveling up the mind, being a giver, and integrating life and nature with love, mercy and ethics. After having seen many people with sickness healed by this technique, she is now sharing Master Zhao Miao Guo philosophy and practice of Daode Xinxi with the world, to bring good health, peace and happiness for humanity. Born in Changsu, China, Zhao Miao Guo Master who worked in scientific field is 69 years old today. She has invented Daode Xinxi Technique from application of Dao de Jing , the ancient philosophy by Lao Zi of China since she was 41 years old, after getting recovered from bile duct cyst sickness naturally . The method is to learn the nature and human relationship together with the way to become good person with ethics, love and mercy ,with sharing to society ,following with integrating the hidden energy of positive language to help level up the mind and resulting in the physical health improvement finally. 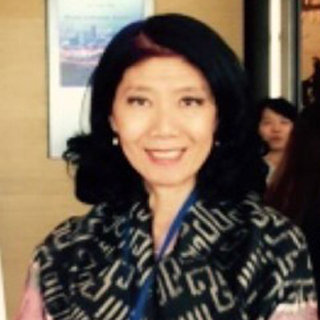 Today, Zhao Miao Guo Master has shared her knowledge to many people especially in Asian countries with her kindness to distribute this incredible way of self- healing for better mind and physical health improvement with intention to help others worldwide for good health and happiness for humanity. Selected for Tara Brach and Jack Kornfield’s exclusive two-year Mindfulness Meditation Teacher Training program in 2016, Anne-Marie has trained with Caroline Myss, Deepak Chopra, and Tony Robbins. Specializes in the exploration of fascial and integral anatomy – with advanced training in osteopathy, biomechanics, psychosomatic therapy and ten years of human anatomy laboratory dissection research. Her approach is renowned, and uniquely effective. She was Cirque du Soleil’s first “Dance Specialist” artistic talent scout where she auditioned and trained thousands of high performance athletes and artists. Oracle University and Microsoft turned to Anne-Marie’s Strategic Intervention and Leadership Coaching curriculum to train executive teams at their headquarters in Silicon Valley. She has designed and created her own Creative Leadership Coaching Program where she focuses on the fundamentals of self-awareness and creative communication.